Oscar Pistorius is selling the house where he killed his girlfriend Reeva Steenkamp. The paralympic Blade Runner is selling the posh estate, located in one of Pretoria’s most exclusive gated communities, in order to pay his mounting legal bills. Pistorius is on trial for murder after he shot his girlfriend during the early hours of Valentine’s Day 2013. Pistorius has never returned to the house where he killed the woman he says he was deeply in love with, and his lawyers say he cannot contemplate ever returning to live there again. 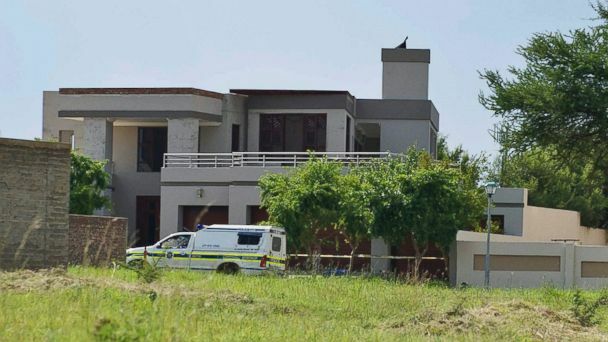 The house has been sealed up since authorities completed their investigation into Steenkamp’s death and handed it back to Pistorius. The asking price for the house was not made public. During Pistorius’ bail application last year he estimated the value of the house to be R5 million, or $460,000. Pistorius admits to pulling the trigger, but has said he thought his girlfriend was an intruder behind the bathroom door. Pistorius fired four shots, three of which hit Steenkamp. South Africa’s “trial of the century” grinded to a halt on Wednesday when prosecutor Gerrie Nel asked for time to reexamine his case and consult with witnesses. Nel said he plans to call “four to five more witnesses” before resting his murder case against Pistorius.